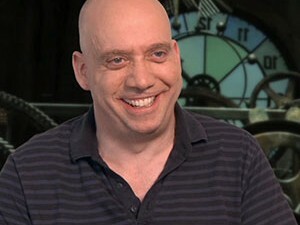 Paul Giamatti discusses how he landed the role of Rhino in The Amazing Spider-Man 2. He reveals he was approached by director Marc Webb on the Conan O’Brien show, who asked him to be in one of the films and asked him what role he would like to play. Paul jokingly said The Rhino, and then was surprised when he actually landed the role. When it came to creating the character, Paul worked to bring to life a rather colorful modern day Russian mobster version of the villain.